Home » Want To Live A Serene Life? 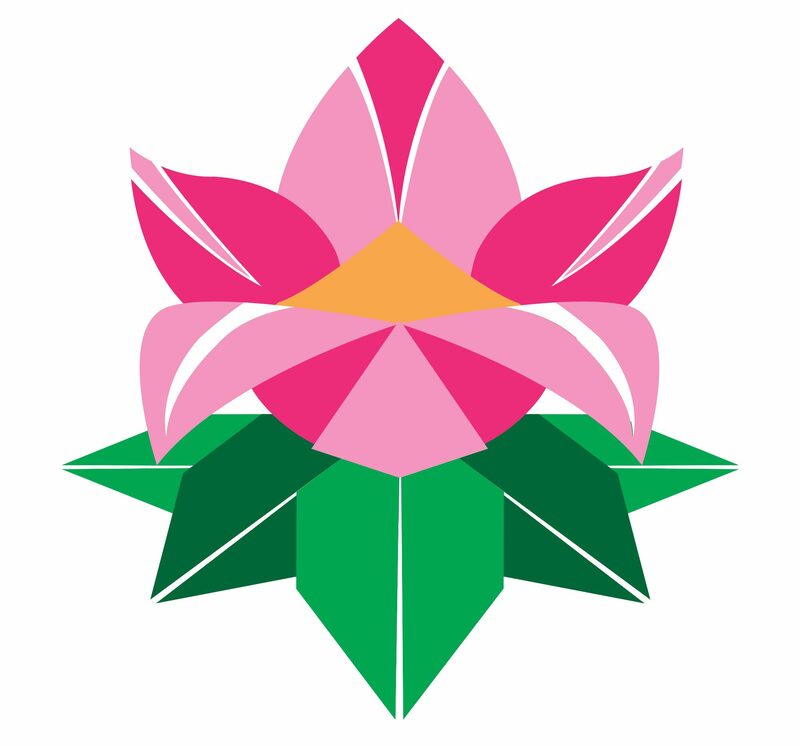 The “Living A Serene Life” program is a three part training enhanced coaching series that integrates three of our powerful Life Origami strategies. It includes the Life Navigation Wheel™️, Life Compass™️ and Transformation Sequence™️ over the course of a three (3) month personalized journey to Fully Inhabit Your Life™️. 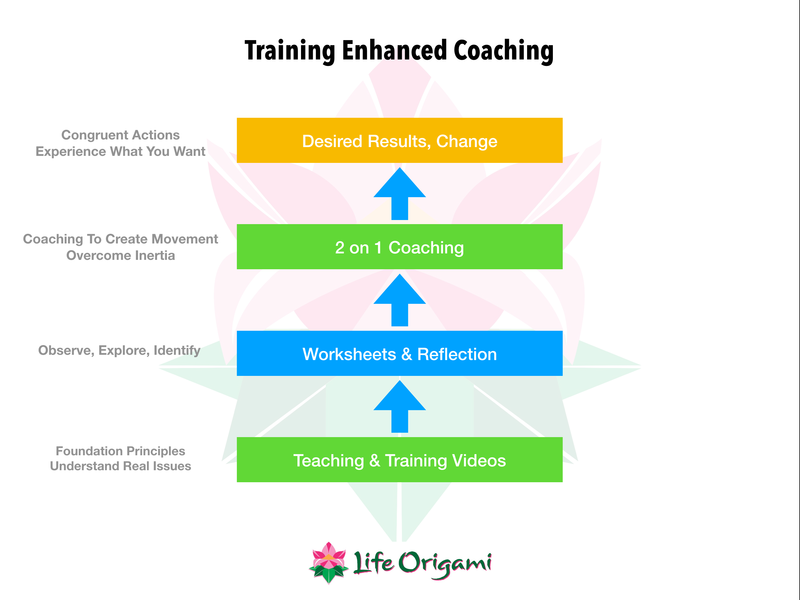 What follows is a comprehensive disclosure of our intentions creating the Living A Serene Life (training enhanced coaching) program and what you can expect. Sailing the seas of life, we all end up dealing with unexpected weather, major storms and changing life conditions. You can’t change the direction of the wind. You can adjust your sails and steer toward your destination. You can start living the way you want, enjoying a life of passion and integrity. Then you will experience what matters to you and disregard that which hinders you. You will follow what is to your higher good rather than what doesn’t serve you. You will experience a meaningful life that is significant to you. There is no more spinning in circles because you will know your direction and goals and you can make better use of your time. There is no more wasteful lingering in the tyranny of the incriminations that were holding you back (those roadblocks of self doubt and non-acceptance that consumed your energy). They held you back from giving yourself permission to not only dream, but go out and live it. With a whole new perspective and purpose, living in the present influences your day-to-day beliefs, values, morals, principles, ethics, attitude, decisions and behaviours in a positive way. You can then give yourself permission to leave dysfunctional relationships that hurt you and hold you back from trying to be happy, based on what you feel that means for you. You can be more engaged in the present and engage less time in damaging self dialogue pertaining to past hurts, feelings and memories. Even your physical and mental health improves. Your brain is capable of changing connections and pathways to support a healthier disposition and create sustainable change. You will live a life with purpose and meaning. No more boomeranging around confused and unable to make choices. You will move beyond fear of failure, catastrophizing and reliving trauma and pain. Chaos and anxiety will dissipate as the tension in your life evaporates. Then you are free to inhabit a serene life. As the Helmsman of our lives it is our responsibility to prevent our ship from going astray during the storms of life and stay on course. To do that, we have to be at the helm with our hands firmly on our Life Navigation Wheel while keeping a keen eye on our Life Compass. At Life Origami, we believe our destiny is in our hands. Our lifelong voyage is one of discovery. Our purpose is to make the most of life’s opportunities and to find a way through monsoons of uncertainty, doubt and fear. The Transformation Sequence is a skill kit you can learn and use to design a tangible path forward you can apply to Fully Inhabit Your Life™️. You will get clarity which will empower you to make the adjustments you need to make, in order to experience the serenity that is your birthright. What is a Skill Kit? 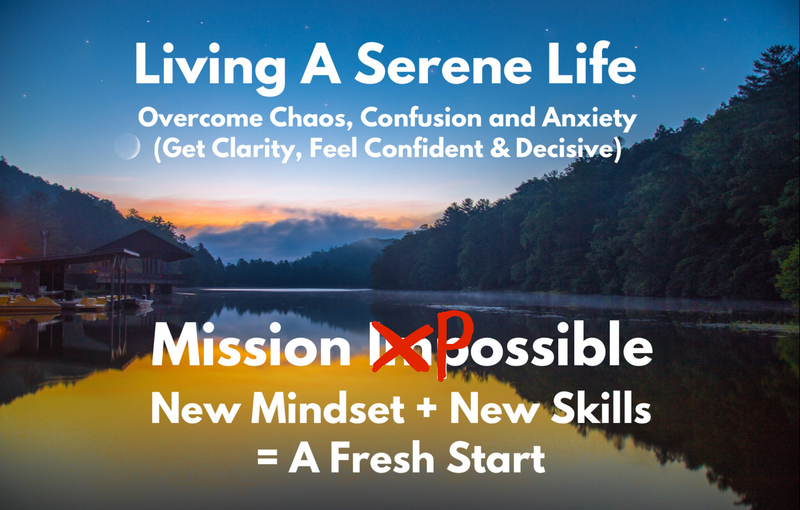 It is a practical, conceptual framework that provides you with the Mindset, Tools, and Skills – which we call a “Skill Kit.” It will help you to observe, assess, problem solve, and take congruent action to fully inhabit your life. You are going to look at the process of how to create movement in your life and what it will take to get unstuck. You will learn the process of resolving the inner conflicts that drain your energy, cause anxiety and fatigue. 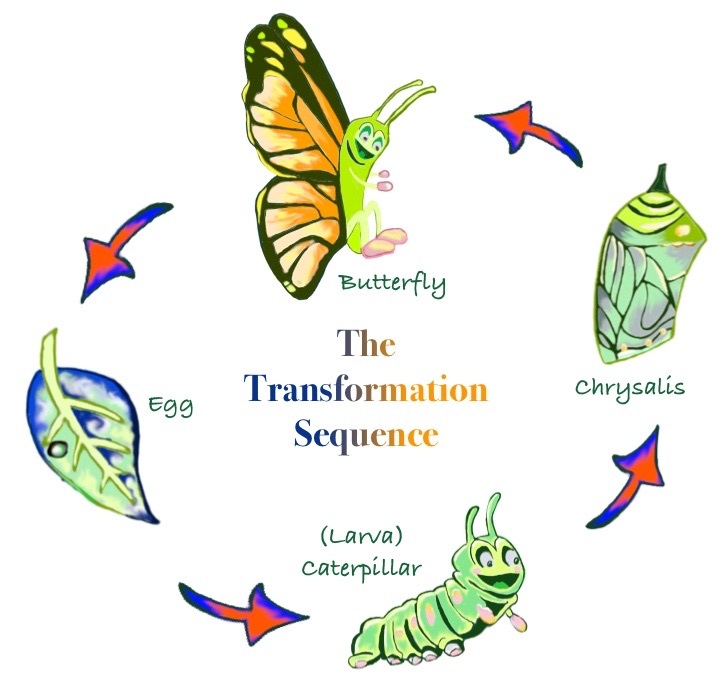 Learn How to Use The Transformation Sequence to create movement in your life. Experience a Newfound Sense of Freedom, Clarity and Certainty. You will jump over the wall that is in your way, because you can see your dream on the other side. The tools you will learn will be your Springboard so you can leap over those barriers, allowing you to move into Living a Serene Life. The reason we don’t experience movement and change is due to a lack of clarity. Getting clear is always the answer to every puzzle in life. We know there is something more out there than what we are currently experiencing. If we could just get some clarity, we could relieve the heaviness and inner tension. You will have the mindset, tools and skills to be able to use the transformation sequence for the rest of your life. You will have the skills and point of reference to take on any future challenges, to create lasting and permanent change; you will walk the talk, living your dream. You will know that your transformation is on its way when you take those first steps, out of the status quo. Then you will begin to explore the fullness that is you. Your next experience will be exploring your Life Navigation Wheel. What are my current opportunities for growth and how can I make my life more meaningful and significant? What can I do to ensure I feel a sense of security and well-being? How do I gain a sense of control over my life and achieve my dreams and goals? How do I overcome resistance and cultivate a willingness to change and live my dreams. Why do I believe the things you do? What is it that seems to unconsciously push me into situations and experiences that sometimes work and at other times turn into a complete disaster? If I am the captain of my own ship, then how come I end up feeling lost and confused on the sea of life? What is the best way to deal with the storms and brutal weather in my life? These are the same questions the human race has been seeking answers for since we became self aware. They are important and at Life Origami we know (as strange as it may seem) that the answers lie within you, not with some other guru. We believe your life is your greatest teacher and you can learn to tap into this unique treasure trove of wisdom, knowledge and intelligence. One of the most persistent behaviours we have noticed in the hundreds of people we have coached is the intrinsic urgency we all feel — which is to bend, fold and shape life to our will, whims and wishes. Life is always changing and moving. Despite our best efforts, we can end up experiencing disharmony, tension and stress. The Life Navigation Wheel helps our clients create and maintain a sense of inner harmony. It strengthens their ability to deal with the lumps and bumps of life. To stay on course we must learn to develop our weaknesses into strengths. Most training and personal development programs fail to create transformation. They are not sustainable over a long period of time. And they are not tailored to your unique life situation or dreams. Any book, training or personal development program, which does not teach you how to convert your weaknesses into strengths, is an abject failure and doesn’t deserve your loyalty or your business. Why so? Ignoring weaknesses prolongs suffering and solves nothing. They focus on tactics, will-power, rah-rah pep rally’s and chasing goals, as opposed to the acquisition of the skills and mindset you need to be able to achieve your results. We believe we have discovered the missing link to bridge the gaps between our weaknesses and forward movement. The missing link is the skill kit. Without a skill kit, you end up overcompensating for your weaknesses and nothing changes. Or, you get caught in the trap of placing to much emphasis on the things we like. People trick themselves by chasing what is easiest. Then they end up majoring in the minors, which impedes their growth and progress. You are not broken and you are not the problem. You are just suffering from the effects of missing skill kits (mindset, skills, tools, and coaching). We don’t have weaknesses, simply a treasure trove of undeveloped strengths within you. They are awaiting your attention, energy and focus. Our goal is to ensure our clients are well-rounded and have a broad spectrum of skills and mindsets available to change their life. When this happens, you see the world and yourself through new eyes. A new sense of confidence, congruence and clarity unfolds. If not, we get trapped on the treadmill of chasing symptoms and the wrong goals. When instead, what we need is to focus on resolving the underlying real world issues. When there are gaps in our skill kit, that we aren’t aware of, life is difficult and we don’t understand why. The most important lesson we can teach you is to focus on solving the real problem. Stop chasing symptoms, insecurities and fear. Without the mindset, skills, tools, AND Coaching – you will be trapped on the hamster wheel of chasing the wrong goals. And as a result, you will not experience your deepest needs, wishes and desires. Often people are blind to see the opportunities and options available to them. Their choices seem obscure and then they end up chasing the wrong things at the wrong time, for the wrong reasons. When this happens, they have now lost their focus and have little energy to see the other options available. Isn’t it any wonder people struggle to make headway? When you maximize and develop your skills and mindset, it opens you up to a greater capacity. As a result, you make better decisions. You are able to adapt and undertake changing circumstances or challenges. You then become unbound and unshakeable! You will complete a self-assessment. Then we will review your self assessment to identify hidden opportunities for growth and provide a report on what areas have the potential to be developed further. This is then followed up with a series of two-on-one coaching sessions; we will support you to uncover obscure ineffective patterns of behavior. Then we will explore the patterns and behaviors that lock you in a cycle of tension and confusion. These underlying traits are a clue that there are stories that have become false beliefs. We probe to unmask the origin of those stories (false beliefs) and how they affect your mindset about what is or isn’t possible for you. When these hidden obstacles are revealed, you will experience an “Ah Hah” moment where a sudden insight produces clarity and you become awakened to new possibilities. It is in that moment of insight, where transformation occurs. You release the old patterns and simultaneously embrace change and healing. Then we will collaborate with you to create new learning opportunities to speed your transition from the ineffective habitual practices into confident and congruent actions. 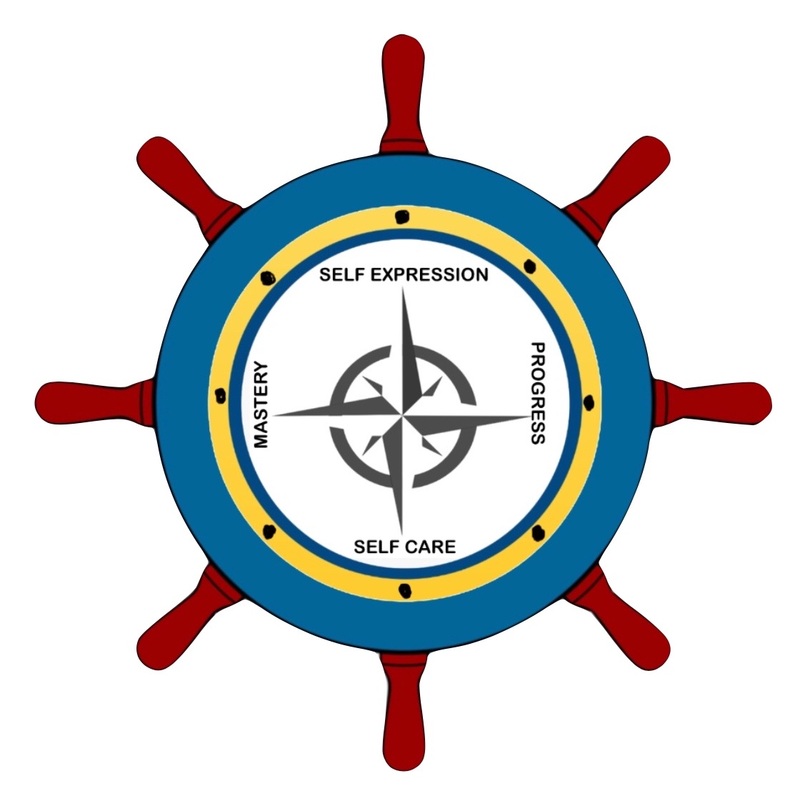 The key purpose of the Life Navigation Wheel is to facilitate personal insights. It is a tool to help you take the role of “observer” — like the director of a movie — observing the actors roles on stage. Like the director in a movie or stage play, the Life Navigation Wheel self assessment will reveal your shortcomings and areas for improvement. You will be able to see which area(s) of your Life Navigation Wheel have been impairing your growth and development. Then you can steer your attention and energy onto the areas that will make the greatest difference. As the observer, you will be able to examine the full context of your self-assessment, free from the judgments and projections. The act of observing will distance you from it so you can be more objective (note how things are) and make more congruent decisions. You begin to see yourself from the point of view (POV) of an observer; you will begin to see the reality and the truth of your circumstances. There will no longer be the smoke screen and interference of blame, judgment and projection. Without enmity you are no longer hiding from the truth and you can begin to gently address your issues. You will begin the journey towards self-acceptance. The observer holds an objective POV and the intention to show love for yourself and give yourself the safe-space to embrace accepting where you are at in that moment. There is no longer ulterior agenda to degrade or sabotage your soft-heart. You’ll be able to see where you may be investing negative energy into, activities that are incongruent with who you are and what you want in life. Knowing where to invest energy keeps you focused and preserves your energy, which in the past was wasted chasing symptoms. Your attention and energy will then be diverted towards the things that will create movement in your life. As you begin to place your attention and energy onto the areas that need improvement, it will keep you focused. Instead of doing the wrong thing, at the wrong time for the wrong reasons — you will be able to adjust your actions to ensure that you are doing the right things, for the right reasons at the right time. You will feel encouraged to know that you have the potential to experience something more and that you have the clarity to make it happen. Gone are the days when you felt there was some unknown force keeping you from getting what you want. It’s empowering to know you are not lost but actually have clarity and a plan that’s doable. You will then naturally release the false beliefs, lies and ineffective patterns you have been indulging in. You then can abandon those irrelevant stories because you have a much better understanding of yourself, how it all happened and what you need to do. You will now know the situation better and yourself better. You will now know what you need to do to move forward, rather than being repressed by old habits that kept you from the life you deserve. You will finally have your own back and can trust yourself because of your own self-efficacy. You will be making decisions with confidence, acceptance, and pride. This new connection with yourself is something you can depend on and you can take that to the bank. The Life Navigation Wheel is one of the many tools we have to assist high growth Individuals like yourself to embark on the journey of unfolding “the magnificence that is you” and fully inhabiting your life. The Life Compass is a dynamic Q&A interview process that results in a mind map and a visual compass for your smartphone. Your compass will reflect your highest values, beliefs, morals, ethics and principles for your life. It will help you to stay on course when life interrupts or speed bumps arrive. Together We Will Identify Your Four (4) Life Priorities. 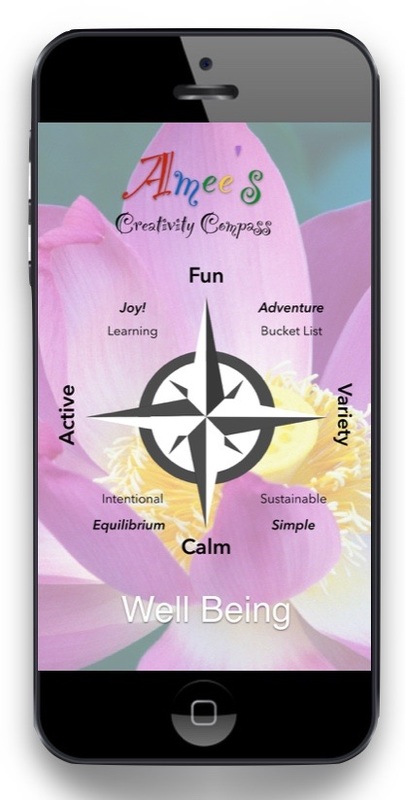 Create A Custom Life Compass For Your Smartphone. No More Spinning and Lingering because with the Life Compass you can move beyond simple motivation and discipline to focusing on creating forward movement, getting into action. Once you know what you want then you can start to build it. Having the visual life compass leading you to your True North, you are able to create movement. Right away you will receive numerous benefits, once knowing where to direct your attention (arrow). Knowing yourself helps you envision the results that you want. And from there you can create a congruent daily life with your attention on your intentions. There are seven, fear based factors that have become universal attitudes, beliefs and perceptions that we as a society have absorbed and accepted. They have become so mainstream that we don’t even notice the hypocrisy and lack of congruency. We know that something just doesn’t feel right but we struggle to identify what is going on for us. These fear based beliefs become significant roadblocks. This happens especially when we aren’t aware that they silently influence our lives. In our experience, when this awareness arrives it always makes us very uncomfortable. Now we know what is most important we do everything possible to get clarity around this new awareness. Until we get clarity, we will struggle to create change. The key is to keep consciously working until you get the lesson. The lesson itself is clarity. That’s the wonderful thing and the difficult thing about living a conscious life – we get learning opportunities every single day. What will it take to create movement? I can get anything I want, first I have to know what I want. So what do I want? Do I have attitudes, beliefs and opinions that are obstructing my progress? What am I prepared to risk to get what I want? Hint: It’s not “I’ll do anything or everything”. Is this consistent with my values, beliefs, morals and ethics? What are my reasons for pursuing this? Am I listening to my own voice or someone else’s? What is my vision? How do I see this unfolding? 9 on-demand video training sessions and self study worksheets; work at your own pace and time. 9.5 hours of 2-on-1 coaching sessions (via video or phone). Life Navigation Wheel report customized to your situation and desired results. A Life Compass for your smartphone and computer wallpaper. The past is gone, your only point of power is now — consider this — how would the quality of your life change if you knew you had the support, mentoring, training and an action plan 100% customized to your greatest desires? That’s our wish and vision for every single client engagement.